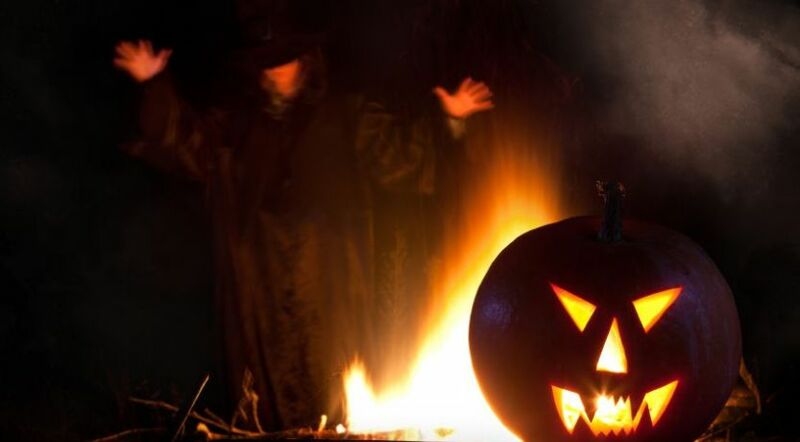 Halloween: Should Christians Celebrate It? Where did Halloween and its dark and demonic themes come from? What is its relationship to All Saints’ Day, and should Christians celebrate Halloween? Halloween, with its dark and demonic themes, seems an unlikely holiday for Christians to celebrate. Yet it has become increasingly popular in America and other countries, marketed as a harmless dress-up night for kids and an excuse to party for adults. Where did Halloween come from? “The Celtic festival of Samhain is probably the source of the present-day Halloween celebration. The Celts lived more than 2,000 years ago in what is now Great Britain, Ireland, and northern France. Their new year began on November 1. A festival that began the previous evening honored Samhain, the Celtic lord of death. The celebration marked the beginning of the season of cold, darkness, and decay. It naturally became associated with human death. The Celts believed that Samhain allowed the souls of the dead to return to their earthly homes for this evening” (The World Book Encyclopedia, 1990, article “Halloween”). It seems costumes of animal heads and skins played a part in their celebration, as well as fortune telling using the remains of the animals that were sacrificed. So how did this gory pagan holiday become associated with Christianity? “Many of the customs of the Celts survived even after the people became Christians. During the 800’s, the church established All Saints’ Day on November 1. … The people made the old pagan customs part of this Christian holy day” (ibid.). In spite of its marketing as innocent entertainment for children, Halloween remains a celebration of evil, not a fitting holiday for Christians to celebrate. Holy Days: Who Makes Them Holy? Christian Holidays: Which? Does God Care? Christmas: Should Christians Celebrate It? New Year: Should Christians Celebrate It? Valentine’s Day Is Pagan? So What? Mardi Gras: Should It Be on the Christian Calendar? Sign of Jonah: Did Jesus Die Good Friday, Rise on Easter? New Moons: Should Christians Observe Them? Wicca: Is It Wrong for Christians? Biblical Holy Days or Other Holidays? Is Jesus Really “the Reason for the Season”?